All three distances will start and finish in Vasona Park in Los Gatos, CA. This a beautiful park that has all sorts of activities for your entertainment pleasure, including a train ride on the Billy Jones Rail Road. 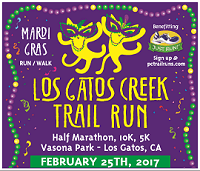 The races will be run or walked on the Los Gatos Creek Trail heading east towards Campbell. Each distance will have a turn around point. You choose the bike pathway asphalt or the dirt shoulder (part of the trail system) if that is what you prefer. Welcome to the first of four events in our "Get Fit Go Fast!" race series. 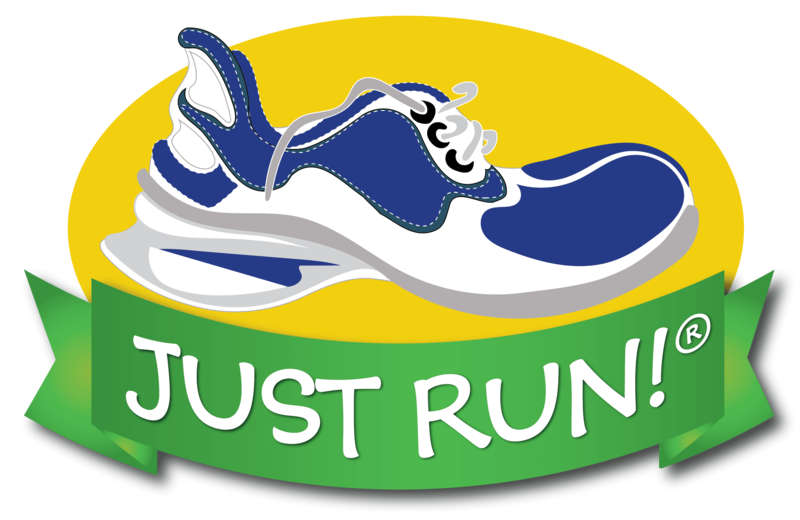 These events are intended to encourage individuals and families of all ages to come out for some easy running or walking. Traditionally, Pacific Coast Trail Runs has been producing trail runs on dirt in mountains. Hopefully, if you haven't already, will try one of our fantastic events on dirt trails. Special Medal earned for completing all four events. Also, earn points for each event to win series ending prizes. - Friday February 24th 5-7pm. - Located at Sports Basement, Campbell. - Here you will get your bib #, shirt, and Mardi Gras mask & beads. 7:00-7:45am All runners are required to check-in. All distances will start in Vasona Lake County Park and run an "out and back" race. This means you will run on the same park of the trail for each direction equal in length. The staging for the Start-Finish area is at the Blossom Valley and Gateway Pavilion Group Areas to the right just as you enter the park you will see the Pacific Coast Trail Runs Finish Arch. Runners will run/walk along the Los Gatos Creek Trail heading east following the neon green/yellow ribbons. At 2.5K into the event, the 5ker's will turn around and head back to the finish. At 5K in to the event, the 10Ker's will turn around. At the 6.55 mile mark, the half marathoners will turn around and head back to the finish.